Madame Sew-and-Sew: Radio Silence Lifted! My sewing machine has been very busy. So busy, that I haven't had time to post anything between finishing Project Snow White and trying to complete SWAP 2013. 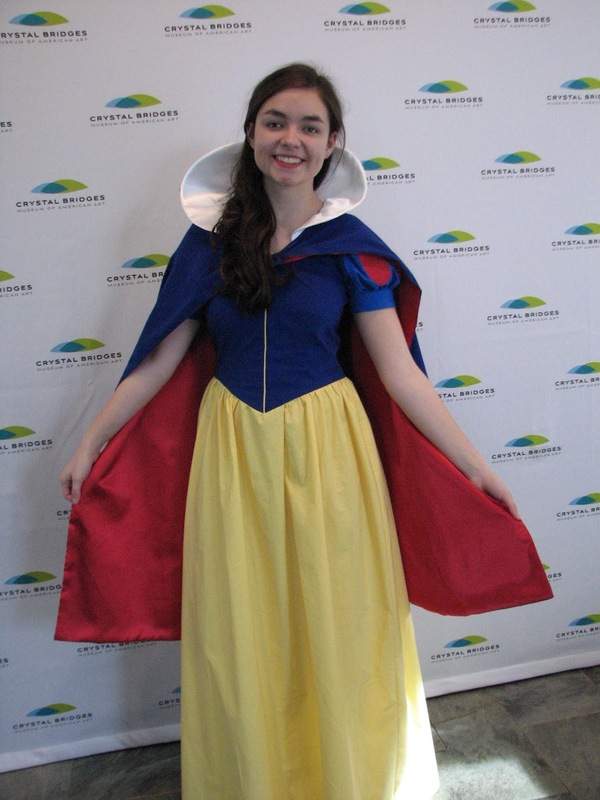 One entire weekend was spent sewing dawn to dusk (or later) on the Snow White costume. The dress was finished by Sunday night, and the collar and cape were easily finished during the weekday evenings. It came out quite nicely, though my back suffered immensely from the constant sewing. The good news is that my daughter took a very active role in the process. She spent Friday night pressing the pattern and the freshly laundered fabric. There was a LOT of fabric, so she saved me quite a bit of time by being my press girl. It was also fun having her keep me company. She did so well with the iron, that I suggested she sew all the skirt seams -- French seams, no less! While she was at the machine, I finished hand stitching the trim to my tweed jacket. Unfortunately, I did not get to see her wear the completed outfit, as I had to spend the most recent weekend on a business trip. My mom took lots of pictures, and Stephanie loved being the center of attention among the young children. I hope the ensemble gets more than one wearing! 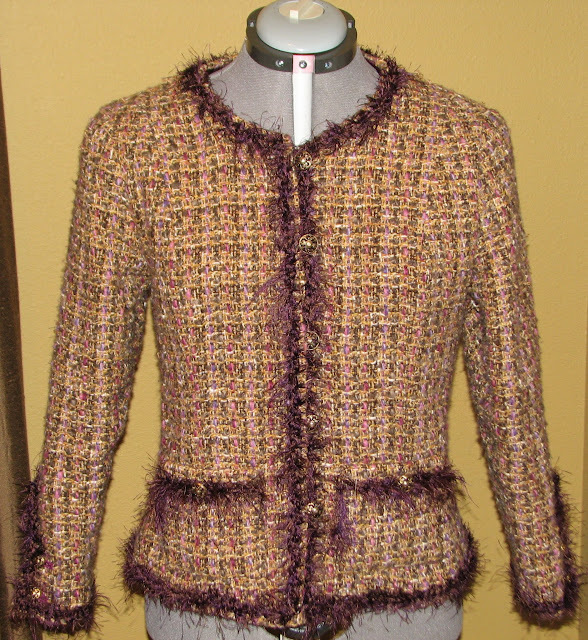 Although I am having my doubts about finishing SWAP by the deadline, at least I FINISHED MY JACKET! AND I've already worn it! It's great. I have made a few tweaks to my SWAP plan, and will continue sewing everything there even if I don't get it all completed by the deadline. Before leaving town this past weekend, I started the dress pants, and they seem to be coming together very quickly. The toughest part for me has been finding the right colors in the appropriate fabrics, especially on the "casual" side of the plan. As a result, I will most likely dye my own jersey for the scoop neck tee. The "jeans" fabrics have also proven elusive for me. I was hoping to do them in non-indigo denims or twill. Some of my orders arrived yesterday, and the pink stretch twill was more of a bubblegum, while I was hoping for more of a faded burgundy. The wine colored twill that I ordered was misplaced somewhere at the warehouse, and I received a blue and white striped home decorator's canvas instead. It would probably make some groovy 70's style pants, but not the look I'm going for. Nonetheless, I am continuing with the project. Even if I don't make the deadline, just having some nice clothes for myself will be fantastic!